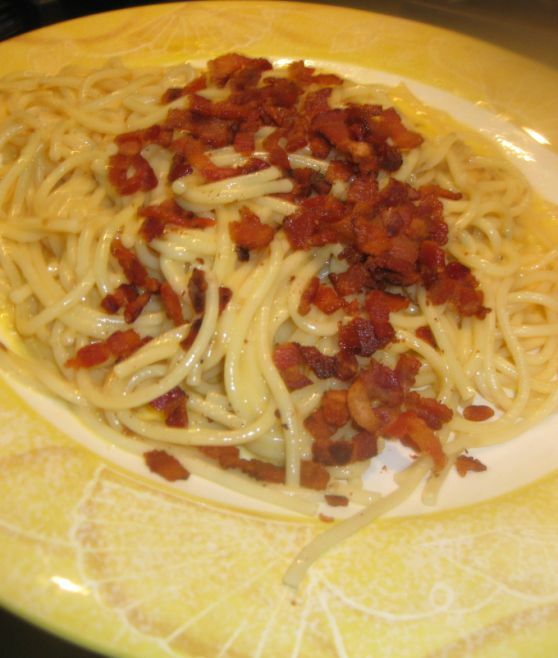 Pasta alla carbonara is usually cooked with spaghetti but you can also use fettuccine, rigatoni or bucatini. 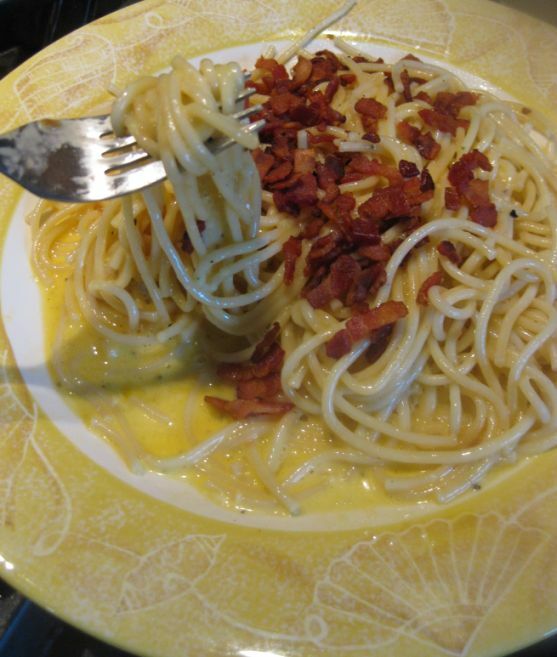 Pasta alla carbonara is an Italian dish based on raw eggs, pecorino Romano, pancetta or bacon, and black pepper. The name is derived from carbonaro, the Italian word for charcoal burner. I am not sure why it is named after charcoal burner? perhaps because black pepper is used in the sauce? 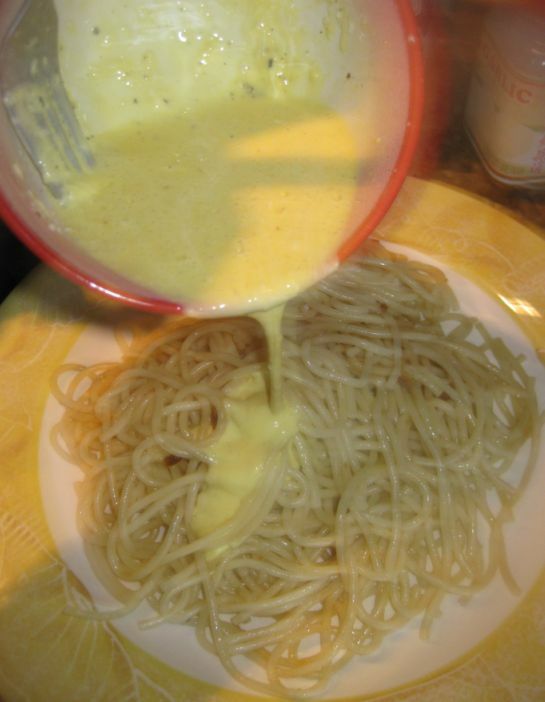 Cream is not common in Italian recipes, but is use it to make the sauce thick and creamy. Other variations on carbonara may include peas, broccoli or other vegetables added for colors. I opted to leave it out because this dish is Kevin favorite and he definitely will not eat the peas! 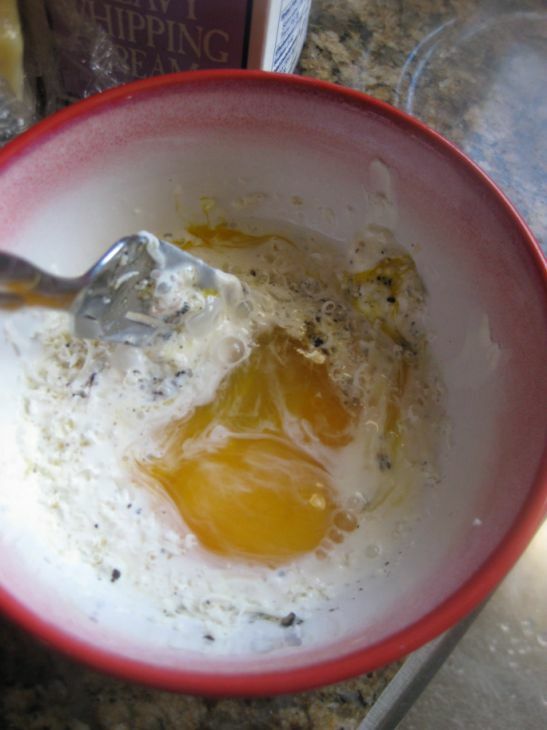 In all versions of the recipe, the eggs are added to the sauce raw, and cook with the heat of the pasta itself. This is a very easy sauce to make and it is so easy to prepare with only 4 to 5 ingredients. This pasta dish looks so simple but it is actually very good and it is a very satisfying meal. I can never stop when I eat this dish! 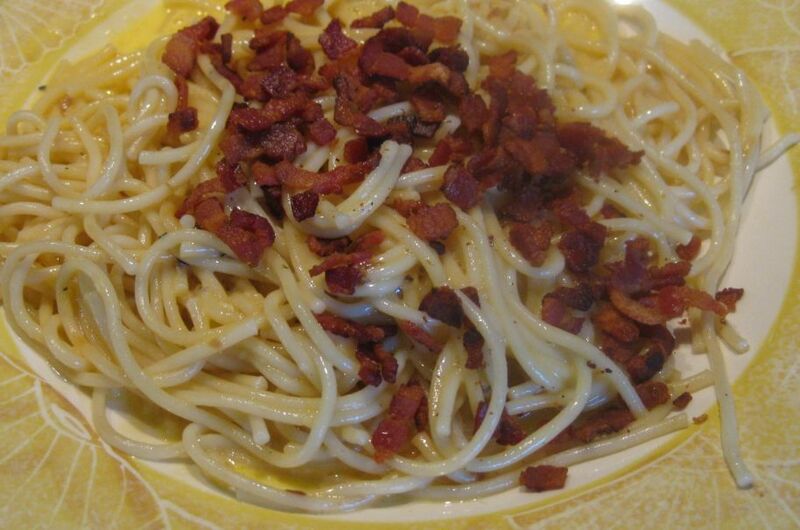 There are lots and lots of crispy bacon that is tossed with hot buttered spaghetti, whipped cream, raw eggs, parmesan cheese to make this a delicious classic dish. 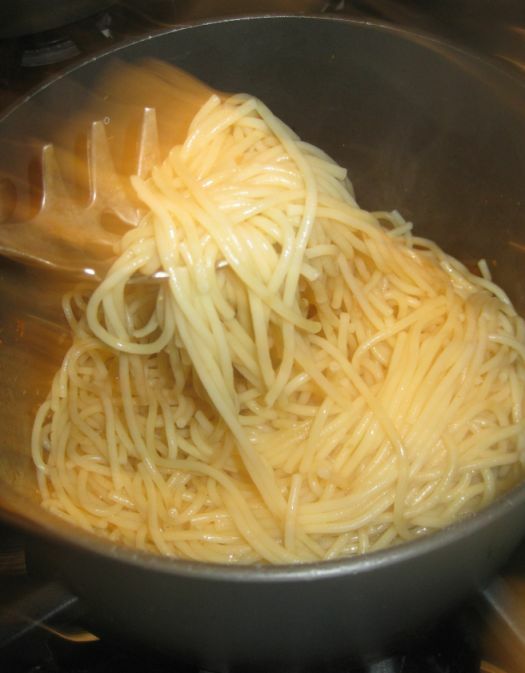 Once you pour the sauce over the hot spaghetti, the heat of the spaghetti will cook the eggs! You can also add more ground pepper to the dish to make it a bit spicier. 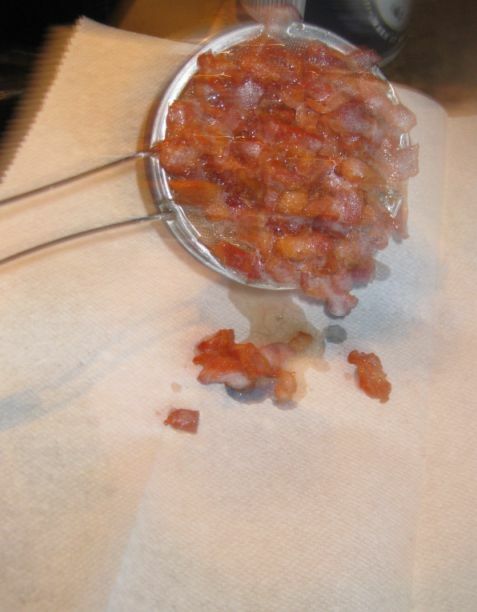 Cut your bacon into small pieces. 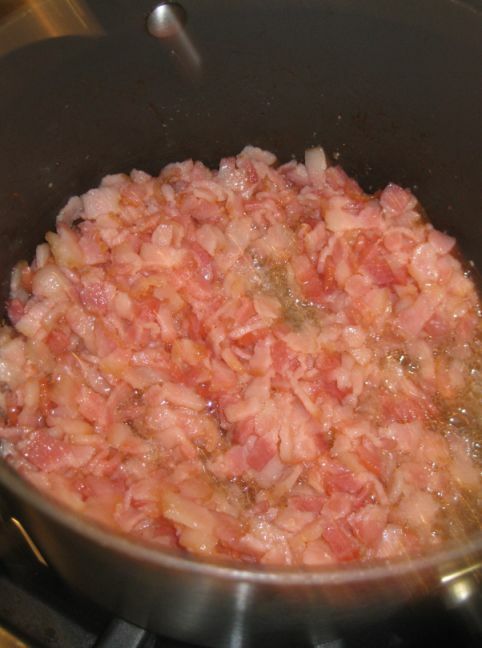 Put the bacon into a large pot and turn the heat to high. 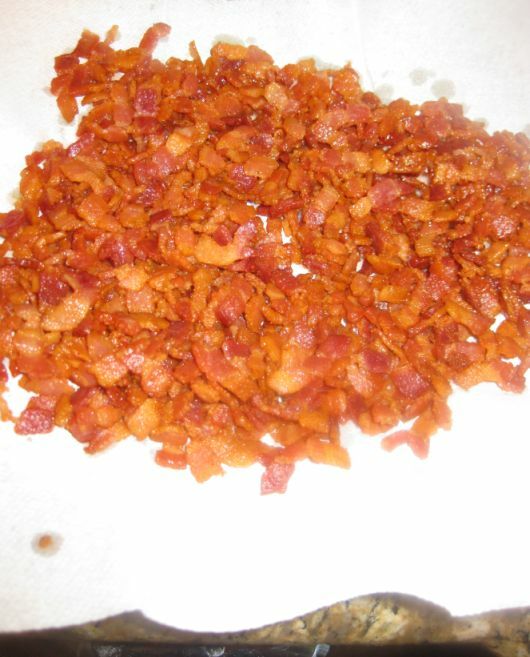 Cook until all the fat are rendered and the bacon is crispy. You will not use all the bacon so just save it for another use. 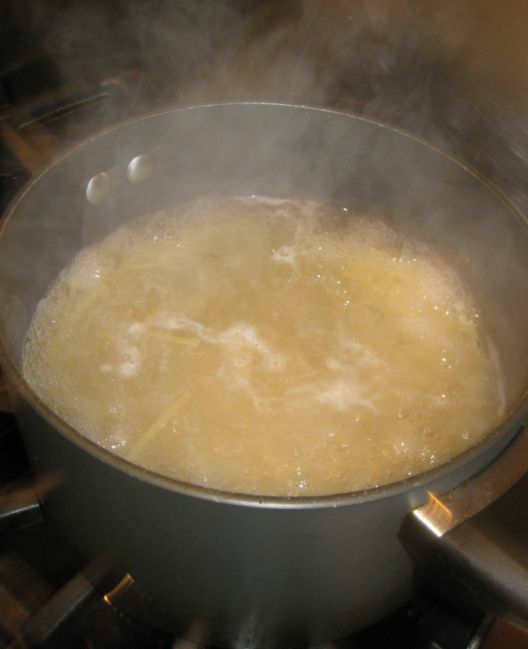 Cook the spaghetti in a large pot of salted water for 10 minutes. Drain all water and put the spaghetti back in the pot. 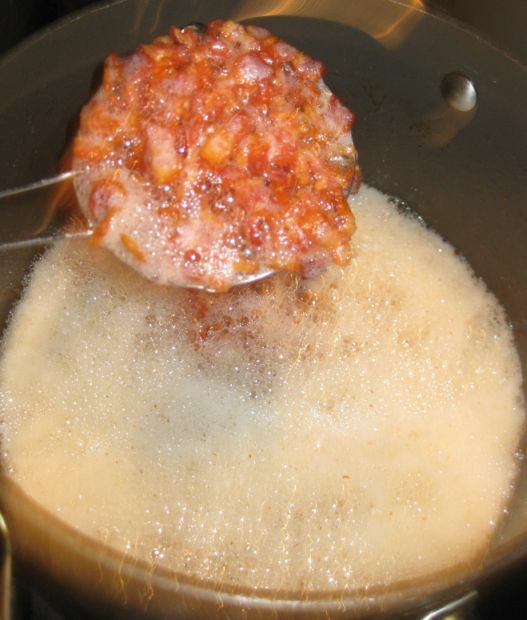 Add butter, store bought fried garlic, and chicken bouillon. Mix it well together and put a lid on the pot so the pasta stays warm. 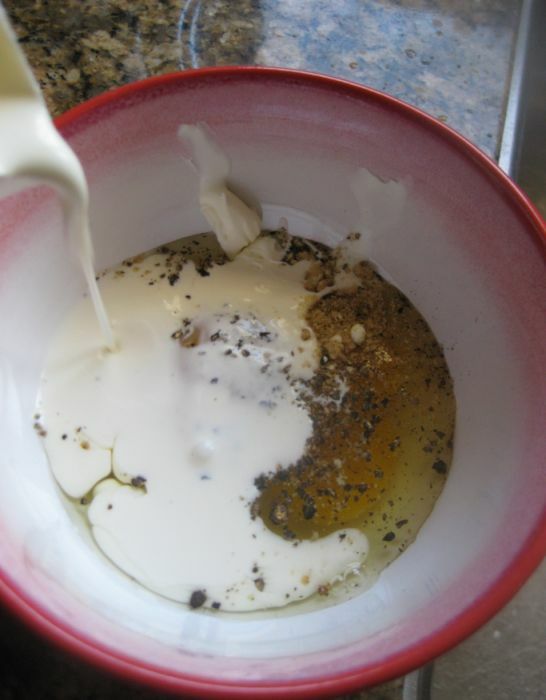 Prepare the sauce: Put the egg, cream, salt and pepper in a bowl. 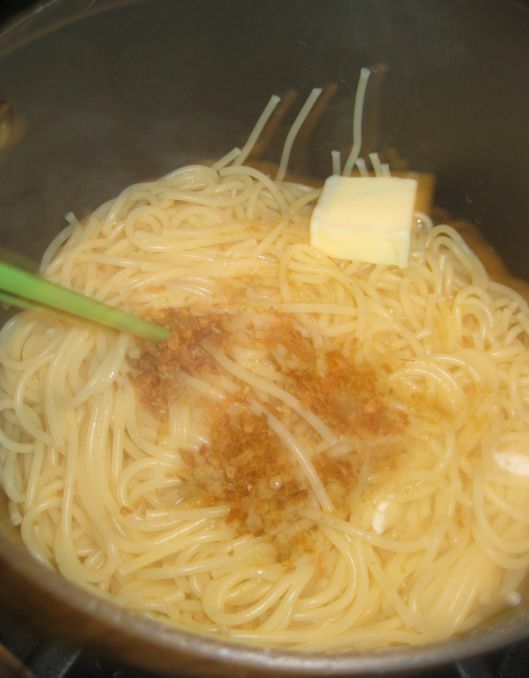 Add the parmesan and mix it well together. 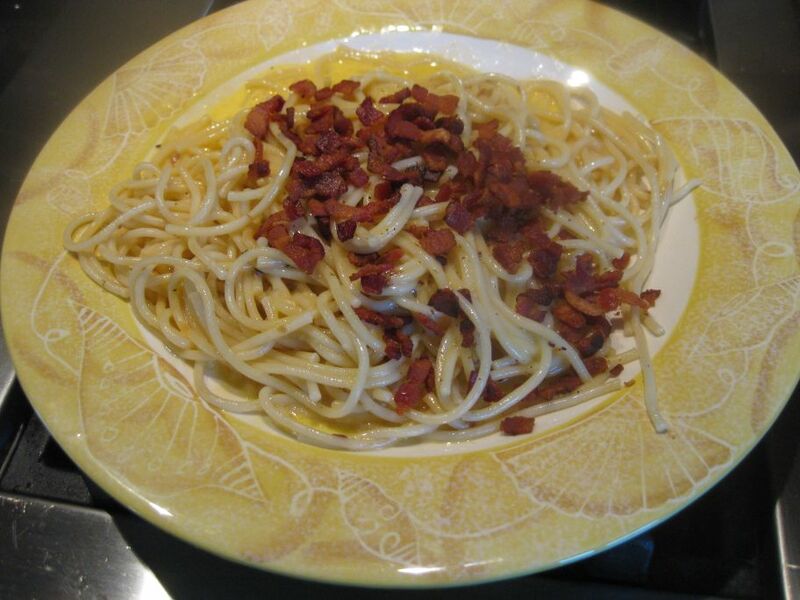 Pour the sauce over the warm pasta and put the crispy bacon on top and it is ready to be eaten.